Dining in Disneyland Paris can get expensive, especially when you travel in a fairly large group or you have a big family. Not only that but for some, dining can be a nightmare when you have fussy eaters. 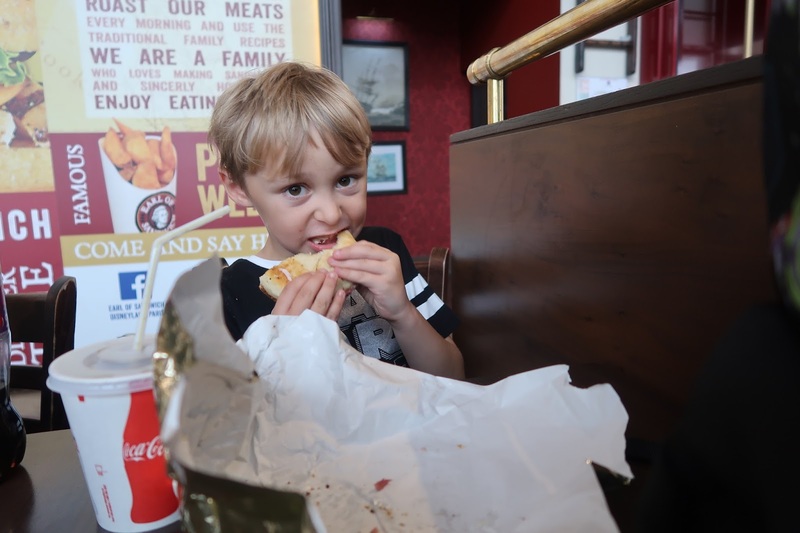 As someone who has a child that is normally okay with trying most things, we wanted to make sure we had a few pit stops where we knew Max would eat everything. Cue Earl Of Sandwich. Earl Of Sandwich is based in Disney Village close to the hot air balloon and just past the Rainforest Cafe. 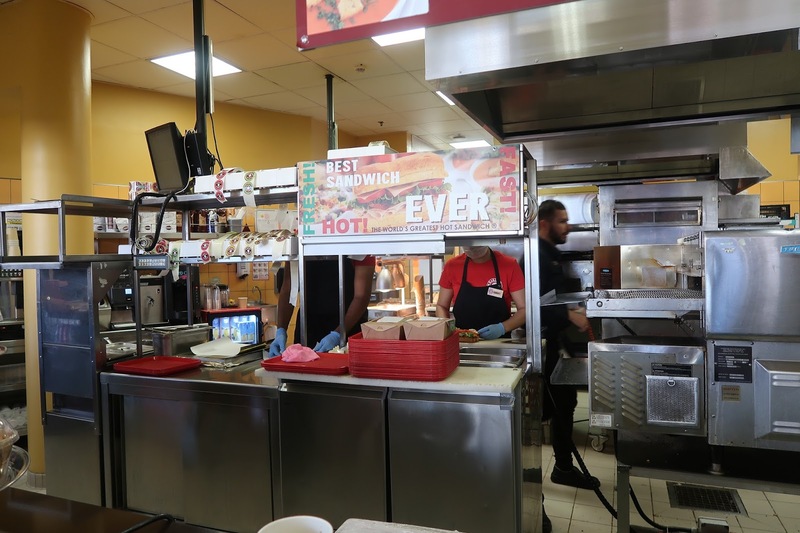 Serving everything from cooked breakfast in the morning, to sub style sandwiches, salads and even hot meals for dinner. 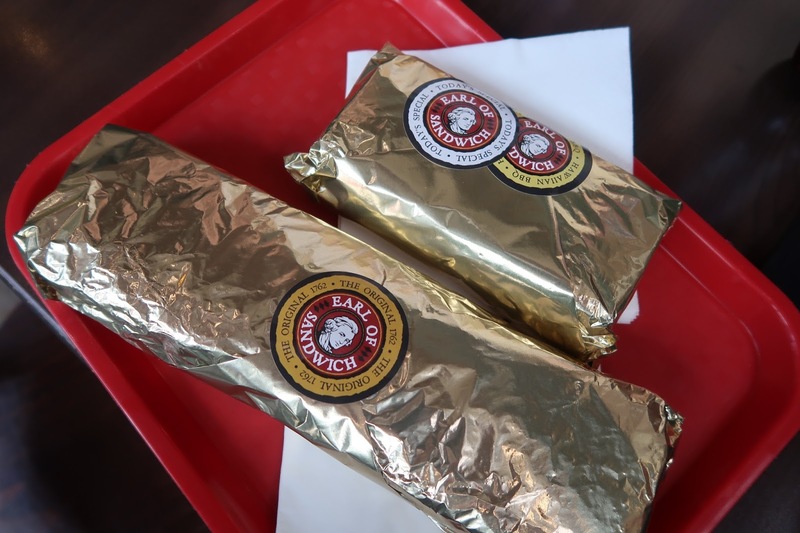 Earl Of Sandwich is definitely the place to go for quick, filling food. It's one of Disneyland Paris' quick service options that means your dinner is ready in less than 10 minutes, you can choose to sit in or take out and the prices of the meals are affordable. 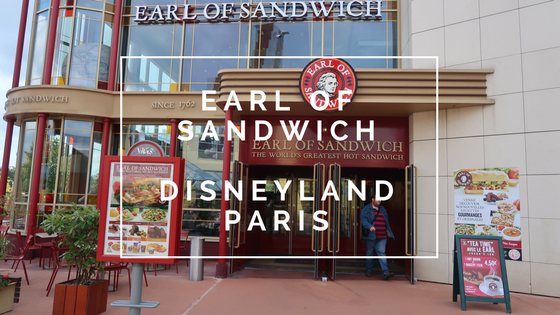 Whilst Earl Of Sandwich itself isn't in the Disney parks, for us it was a fantastic way to spend an afternoon eating between shopping in the village! Earl of Sandwich pride themselves on providing freshly made ingredients and cooking whilst you wait to ensure that your meals are hot and filling. Each member of kitchen staff is positioned at a different station and your meal is passed along to the next person to provide a seamless and fast service for your meal to be prepared. I loved that you could stand and watch your meal being made if you wanted to! All of the meats and breads are prepared and cooked each morning, meaning that you have the freshest meal they could possibly give you in the fastest time possible. Whilst their bread seems to be a bit of a secret recipe, it looked and smelt delicious. When ordering, you can customise your sandwich or turn it into a meal deal if you wish. Once you have paid you are then handed a timer disk that will buzz once your meal is ready to be collected at the collection point. For us this was fantastic as with an impatient child, we could find a seat and get ourselves settled rather than standing around and waiting for our food to cook. The Earl Of Sandwich has two seating areas, a canteen style dining downstairs and the same upstairs. We opted for upstairs as we wanted to take in the views of the Disney lake we had heard so much about. Unfortunately for us, the weather wasn't on our side, so the view was less than spectacular. But we loved the panoramic windows that surrounded the first floor. On a non raining day, you can see just how beautiful your lunch could be. With 5 of us in our party, we decided to each try something different on the menu so picked up a bit of a selection. I opted for the Hawaiian BBQ sandwich (without pineapple, I'm still not won over by the whole pineapple on a savoury thing) whilst Scott went for their special footlong original. We also picked up a chicken and avocado wrap, chicken caesar salad, tomato soup and potato wedges. There was a fantastic meal deal for kids, including a ham and cheese sandwich, drink and chocolate yoghurt which Max chose. Earl of Sandwich label each of their meals with a specific sticker stating the contents meaning there is no arguing over who's food belongs to who. I loved this little touch as it meant that you could dish out the meals on the go if you wanted and you wouldn't be stuck with unwrapping other peoples food. Another fantastic perk was the pre-packaged cutlery. This came in a sealed bag with a napkin and was perfect for us as we ended up taking half of the salad with us to eat later. Of course fast service, fantastic views, and a wide range of food isn't good unless it tastes good. I have to say that our meal at Earl Of Sandwich was one of my favourite meals on our Disney holiday. Not only was it warm and filling, it was affordable and really hit the spot after a long day of walking. It was also one of the only meals that Max sat and ate the whole of, which is saying something as he spent the rest of the holiday constantly moving and picking at everything he was given from the meals we had. Earl Of Sandwich was probably our favourite quick service restaurant. One that we wish we had discovered earlier in our stay as we loved it that much! 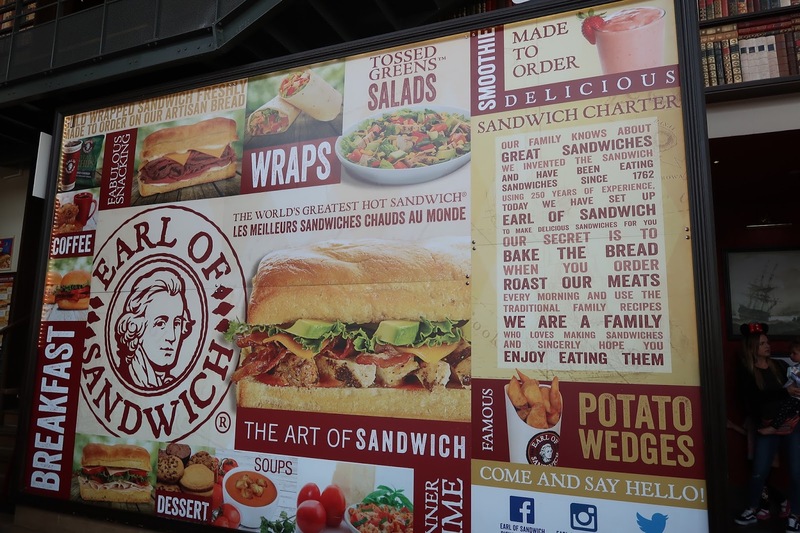 Thanks so much Earl Of Sandwich for our gorgeous lunch, we wish we could go back! *Note: We received a free lunch in return for an honest review.